The Tampa Bay Rays got back from their historic trip to Cuba on Wednesday morning, and after a bit of a travel delay, returned to baseball as usual that evening. Last night, during the seventh inning of their game against the Pirates, an older fan reportedly ran onto the field in Bradenton, cursed at them in Spanish, and threw either a soda and a beer (or two beers, as some have reported) into the dugout. 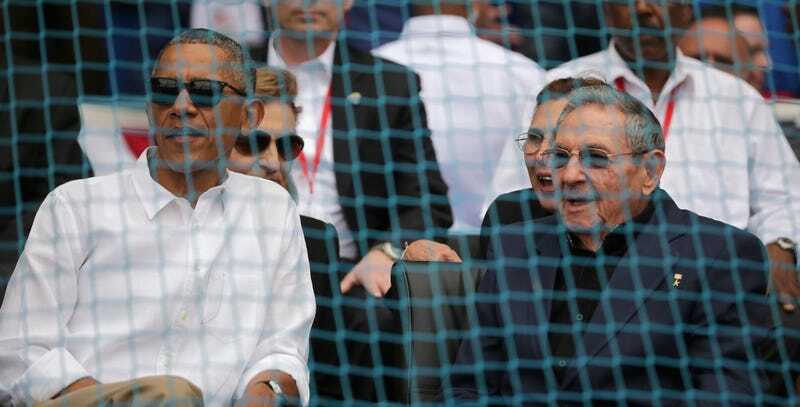 The Tampa Bay Times reports that the aggression was a response to their trip to Cuba to play in front of Raul Castro and President Obama. Per the report, the man has been arrested and charged with trespassing, causing affray, and assault.